Petrussa Wine Dinner @ Giando « Liquid Assets Limited: Wine & Beer! Gianni Petrussa is back in town! Liquid Assets is proud to present an evening with Gianni to showcase his outstanding range of Friuli-style wines which many experts and connoisseurs consider to be some of the finest from the region. 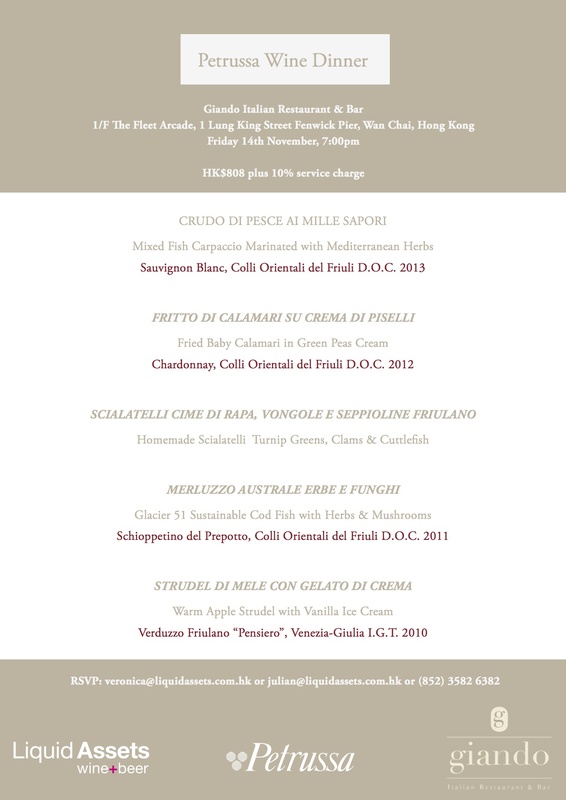 Please join us for an evening of great wine, fantastic food and friendship, as we celebrate with a fabulous 5-course pairing menu design by the culinary experts and head Chef Giandomenico Caprioli of Giando Italian Restaurant & Bar. Price: HK$808 plus 10% service.